Accompanying the film are photographs shot on film by London based photographer and multi-media artist Bafic, which oscillate naturally between day and night, demonstrating the unrelenting creative spirit that Nite Jogger shoes seek to embody. 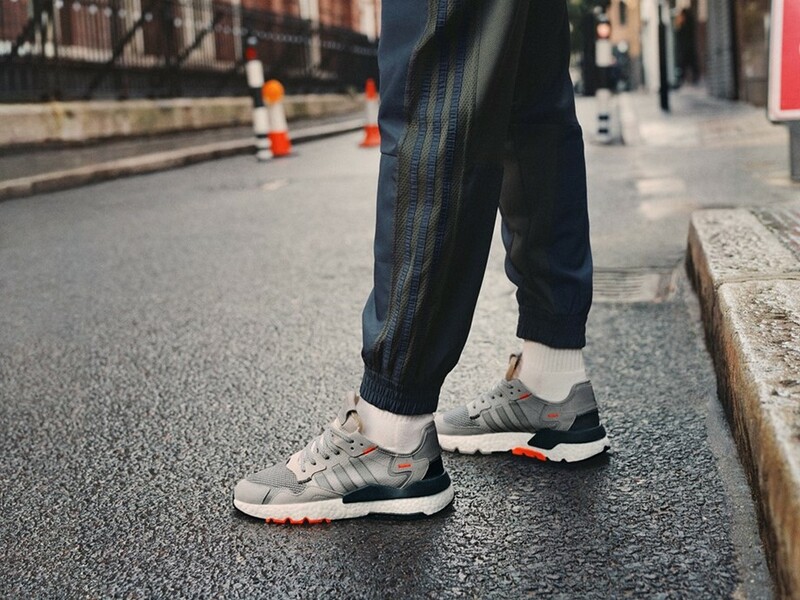 All of this is then rounded off with a BOOST midsole and durable rubber outsole, resulting in a silhouette that is elevated for comfort and engineered for nighttime exploration. 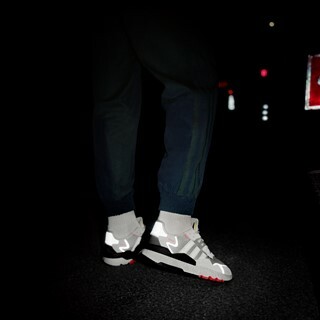 The Nite Jogger sneaker is capped off by the message “speed of nite” written in Morse code on its outsole and tongue. 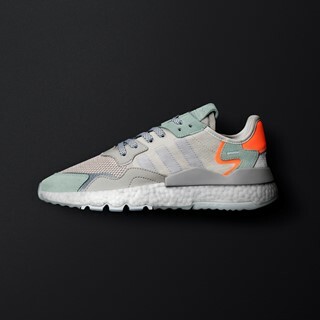 Offered in a flurry of distinct new colorways, featuring tonal greys, pastel greens, and eye-catching orange hits, the result is a striking expression of the Nite Jogger silhouette’s enduring aesthetic, presented in an exciting new context. 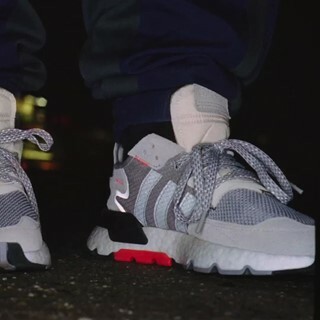 To celebrate the latest Nite Jogger release, adidas Originals dropped a limited-run of collectible Nite Goods items through unexpected giveaways in New York City last week. Members of the public were able to get their hands on copies of a custom Nite Jogger storybook, Go To Bed, Sneakerhead, and its teddy bear counterpart, NiteBear, who offers words of encouragement voiced by the comedian Eric Andre. 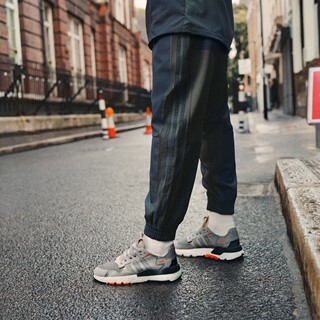 Aligning with the SS19 Nite Jogger campaign, the rare goods exist to inspire late-night creators to power through and to never stop dedicating every waking minute to their creative pursuits. 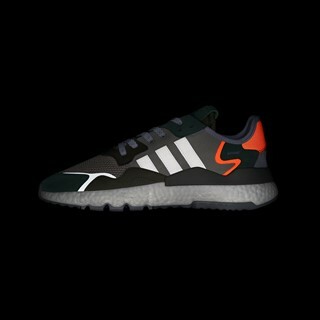 The new Nite Jogger colorways will be available in stores globally on April 11, 2019 and at www.adidas.com/nitejogger. Styles will retail for $130.